Emily and Stephen at SDCC 2014. . Wallpaper and background images in the Stephen Amell & Emily Bett Rickards club tagged: photo. 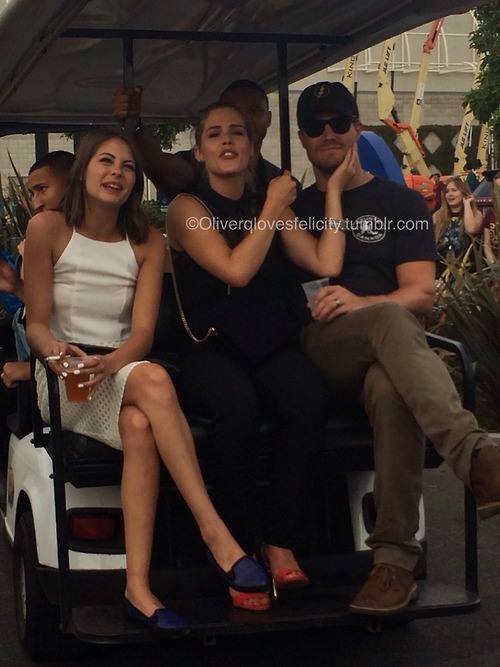 Stephen and Emily @ SDCC 2015 What is your one word आप can use for describing this season four? Emily giving Stephen जेली beans. Stephen Amell and Emily Bett Rickards at the ऐरो panel at Walker Stalker Con, March 16th, 2014. Stephen Amell and Emily Bett Rickards at The Flash vs. ऐरो प्रशंसक screening event.